7 Amazing Benefits of White Tea. White tea is opening up a step on green tea as it is even better than this in terms of benefits and properties. White tea is one of the most delicate varieties of tea because its processing requires very controlled conditions. Because white tea leaves do not undergo oxidation it contains less amount of caffeine, about 15 mg per cup approximately. One of the biggest properties of white tea is its potency as a natural antioxidant. White tea stands out as being the most potent antioxidant in nature. 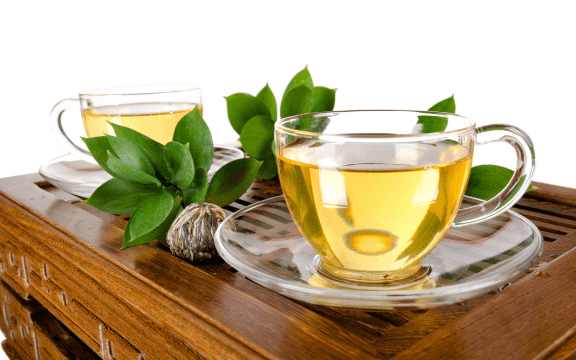 In addition, white tea is much more effective and potent than vitamin E and vitamin C.
Not in vain, very few people really know that white tea is much richer in antioxidants than green tea. Like many heart-healthy fruits and vegetables, white tea has a high flavonoid content that helps reduce hypertension. By lowering blood pressure, white tea is useful for a wide range of cardiovascular health benefits. It is known that this variety of tea possesses certain slimming powers because it manages to accelerate the metabolism, thus this infusion favors the reduction of the lipids of both the cholesterol and the body fat. This beverage is also very useful to fight arteriosclerosis as it decreases triglyceride levels while elevating the levels of good or HDL cholesterol. Prevents infections by improving defenses. As we have already mentioned, the different varieties of tea have a disinfectant effect against several bacteria, especially some pathogens found in the intestines and in the skin or mucous membranes. Again, polyphenols are responsible for this effect, and white tea is the most concentrated. This is very useful for combating bad breath due to dental bacterial plaques. Improve your skin and prevent wrinkles. White tea is one of those resources, because of its very well studied oxidizing characteristics, which protect the skin cells (and also the brain and liver) from the effects of aging. But also polyphenols protect from the harmful action of sun rays, ultraviolet A and B when ingested for at least 1 year. It is not fattening because it has no sugar, but it has a much nicer taste than other tea with similar properties. Along with its slimming power, white tea accelerates the metabolism, favoring the reduction of body fat and cholesterol. Purifying, detoxifying, also stimulates digestive secretions, making it easier to digest fatty foods. But white tea has a very interesting effect: it produces satiety. This is also due to the ECGC, which increases the production of cholecystokinin (CCK) in the intestine and which is responsible for making us feel satisfied after eating. 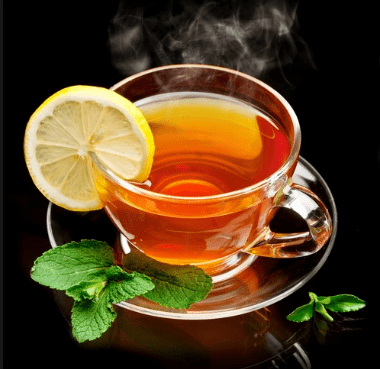 Related articles: 15 benefits of drinking tea every day. Is the best natural antioxidant. One of the great benefits of tea is the high concentration of antioxidants they possess. White tea is precisely the highest level of catechins and polyphenols present. However, we know this quality of white tea confers a wide range of benefits. The antioxidants protect the organism from free radicals that are produced freely by our metabolism and that causes many harmful processes like damaging the DNA and the cellular aging. Antioxidants protect us from several of these effects, such as type II diabetes or cancer. In white tea, an antioxidant, in particular, known as ECGC, is the component that could be used for the treatment of cancer. This molecule is also a polyphenol and is the “star” of cancer researchers. One of the studies is to ensure that the patient can take pills with ECGC and some other component that transports it directly to young cancer cells. Depending on the variety of tea and although this figure is not accurate if indicative, we can say that green tea contains 75% of antioxidants compared to white tea. For this reason, white tea is sometimes said to be more beneficial than green tea. The benefits of tea are amazing. I just read your article regarding five types of tea improving respiratory function but wow, white tea is even greater, it seems. I’ve always heard good things regarding tea, however I also brushed them off as fads and never really anything proven by science. 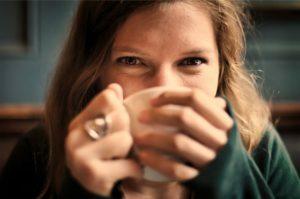 This article and your previous article changed my viewpoint substantially and it’s something I’ll likely try myself, while convincing my coffee-drinking family with proof that tea is a far better option. I feel like white tea is highly underrated! It tastes really good and is perfect for night time since it has less caffeine than black or green tea. I didn’t know that it has less antioxidants than green tea. That’s really interesting. 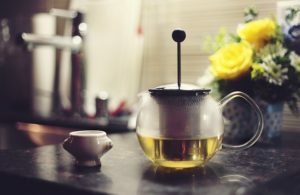 I love tea and now that I see some of the health benefits I didn’t know about before, I’ll start drinking more white tea. Thanks! Totally agree with you, Eric. White tea is the most underrated among all teas but I have to correct you, White tea is the most potent antioxidant in nature. Enjoy a cup of White tea Eric!!! I must say that I never used white tea. I even did not hear about this tea as it is not popular here in my country. I like its benefits and I would like to use it primarily for weight reduction. I see that it is a great antioxidant and it contain catechins which positively affect weight loss. Great topic! I will definitely use it. At at tea expo I attended earlier, I was introduced to white tea and had the opportunity to taste before buying it. Indeed, according to the seller, it’s a scarce variety, but the main appeal is its low caffeine content. I love tea and coffee, yet if I consume too much or after 3p.m., it would give me uncomfortable palpitation and keep me well awake throughout the night. With white tea, I get lesser of that so this is definitely my choice of tea moving forward. Hi Cathy. As you may know, any kind of tea contains some levels of caffeine but among all teas, White tea is the one with lower levels. I am glad that you found out about the benefits of White Tea to improve your health. Hi Dale, I am pleased you found this post helpful! You do not have to worry about finding the right one because I have a recommendation for you of several White Teas with a different twist like Pineapple and White Tea or Uva Ursi Tea without losing any of the benefits. Try it! You won’t be disappointed. I love both green tea and white tea. White tea seems to have a little bit of a delicate taste also. I did not know that white tea had more antioxidants so that is going to be a most on my list going forward. You mentioned improved skin and wrinkles from white tea for at least 1 year. Can you see the benefits before that? Also do you know of any other ways to boost immunity? Previous PostPrevious Antibacterial, Antiviral, and Antifungal Herbal Teas. 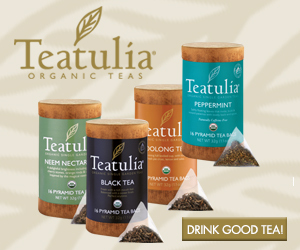 Next PostNext 4 Best Anti-Inflammatory Herbal Teas.